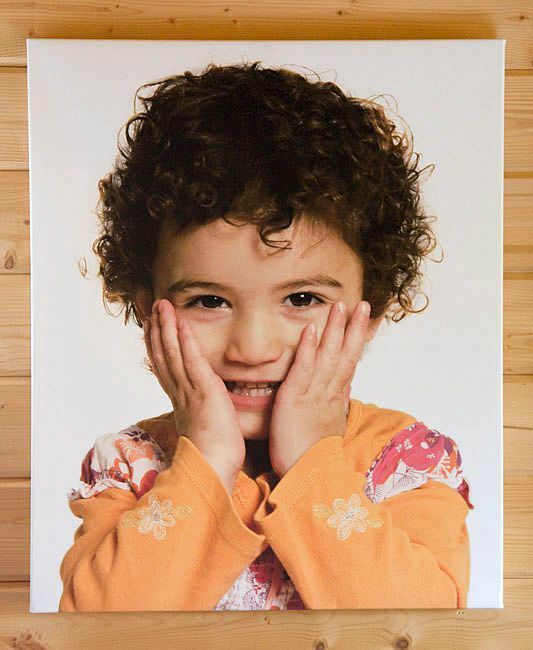 Your image is printed onto artist grade canvas and wrapped around a wooden frame to give a 3D effect. You may like a frame which can hold a single images or multiple images. 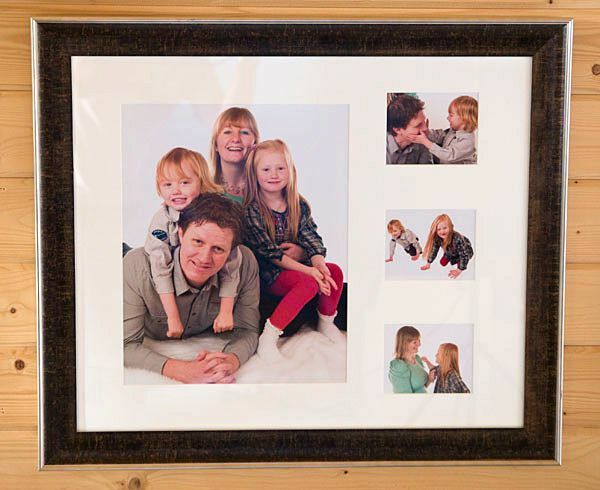 Frames are hand made and come in a range of different finishes. Lots of innovative layouts are available. Prices for Christenings, birthday celebrations or family portraits taken at your home/location are different. I charge £40 for the first hour’s attendance (if the location is within a 10 mile radius of my home; if not it’s £55/hour) and £30 for each subsequent hour. A disc of all images taken at Christenings or birthday celebrations costs £75. I also do head shots for business use and actor’s headshots and charge £75 for the session which includes up to 6 hi res edited images (full useage rights). I run portrait promotions at different times of the year so do check my Promotions page. Looking for a gift to buy? Why not surprise someone close to you with a portrait gift voucher. Most people would like a portrait of their family or someone special in their lives but don’t get round to sorting one out. If you buy them a voucher, it’s half the job done. 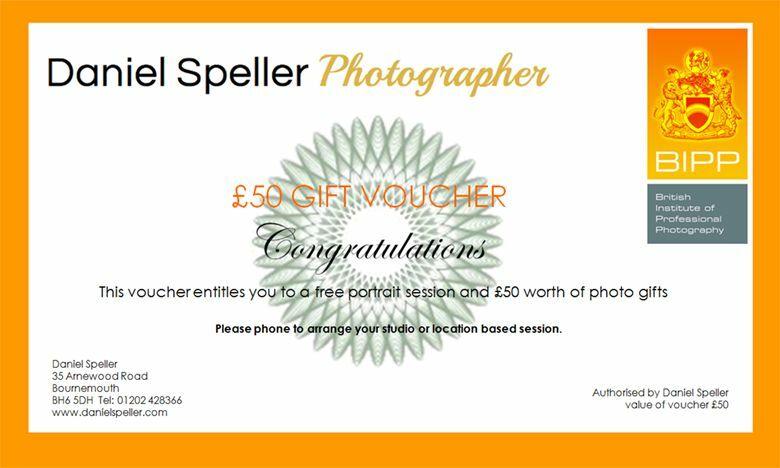 The voucher (for any amount) can be used to get some lovely photographs either in my studio or on location.